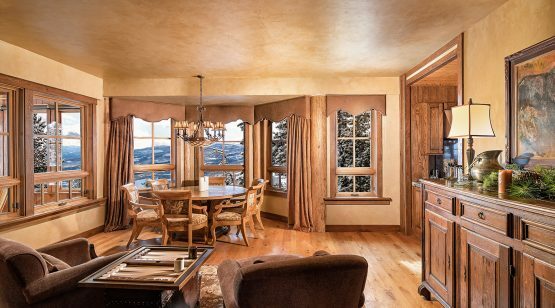 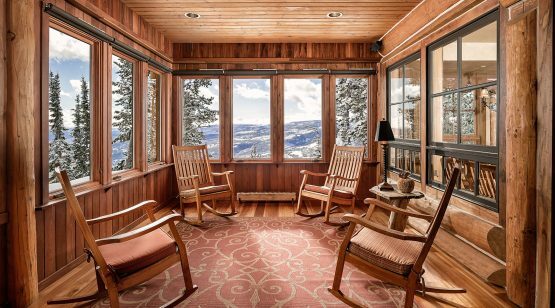 Located at a view-framing bend in the road, Andesite Ridge 89 is tucked into the perfect fold of land to capture broad southern views and lofty alpine habitats. 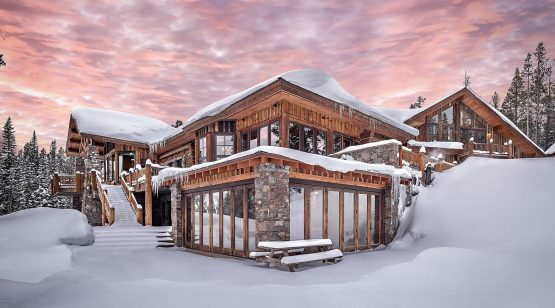 The custom residence on this spectacular piece of property sits elegantly on the land, with thoughtful use of natural materials that create a harmony between the home and the land. 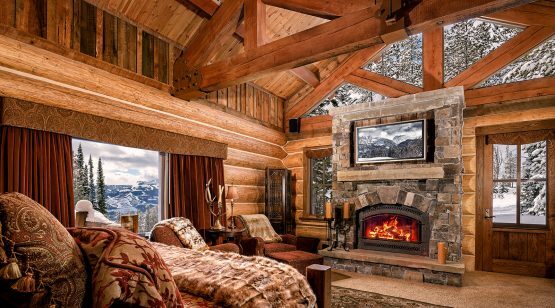 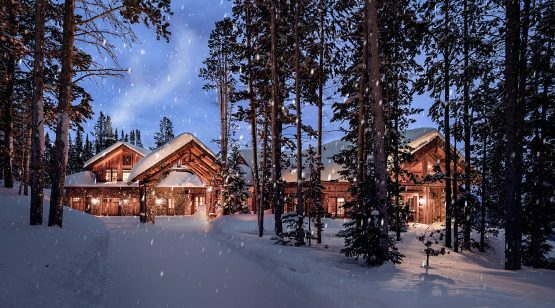 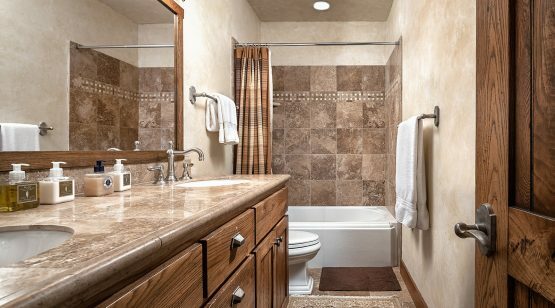 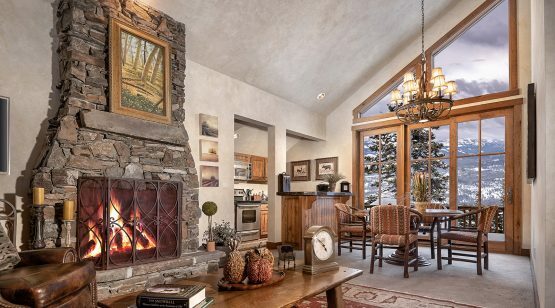 Andesite Ridge 89 is nestled on just over two acres of land, offering room to explore while still remaining close to the bountiful YC amenities, including nearby ski trail access and the multitude of base area services. 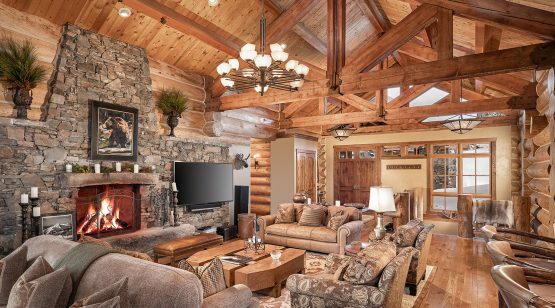 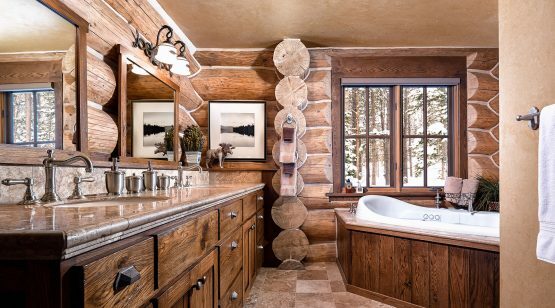 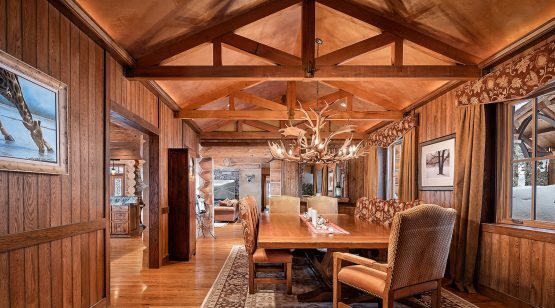 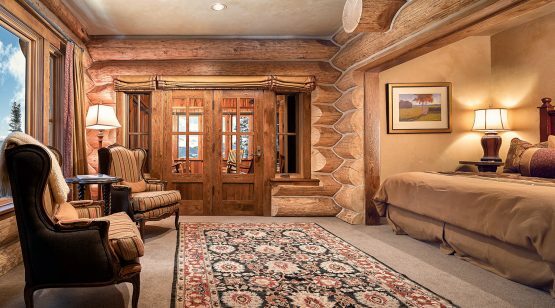 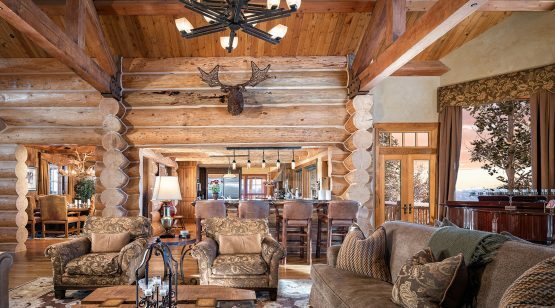 With its modern log styling and two levels of living space, this custom residence feels airy and bright, and offers plentiful space for mountain getaways of friends and family. 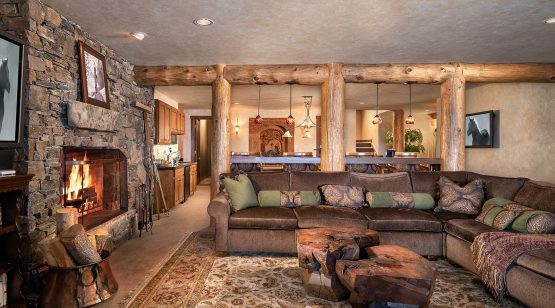 The home’s great room takes center stage, perfectly balancing many elements to create a room that is timeless, inviting, and warm: massive stone fireplace, heavy beams, luxurious furnishings, and regional art. 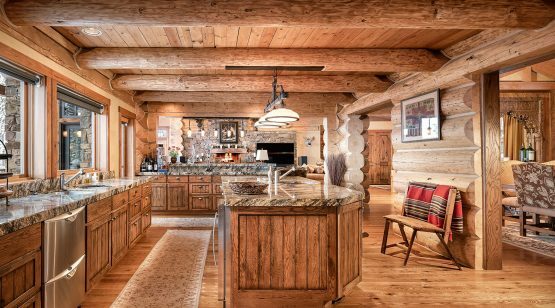 The adjacent kitchen, with its wooden plank and beam ceiling, feels cabiny and cozy, while offering top-end appliances and fixtures. 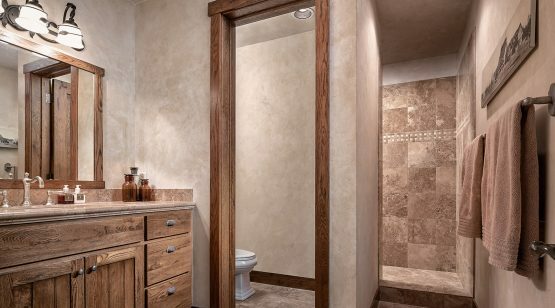 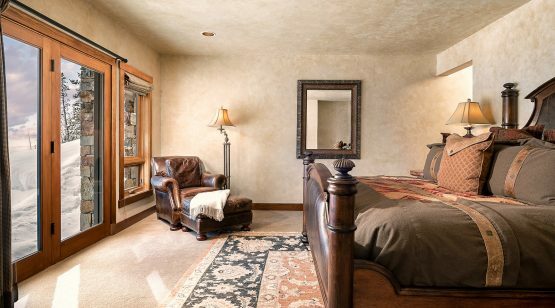 The home’s main level features two bedroom suites, each on opposite ends of the home for maximum privacy. 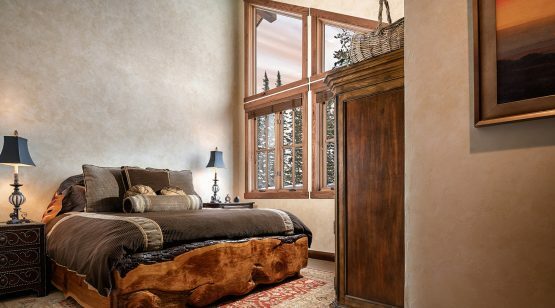 The master suite features unique windows embedded in a ceiling beam, framing the outside forested view, plus rich tapestries, stone fireplace, vaulted ceilings, and full suite amenities, including a private office. 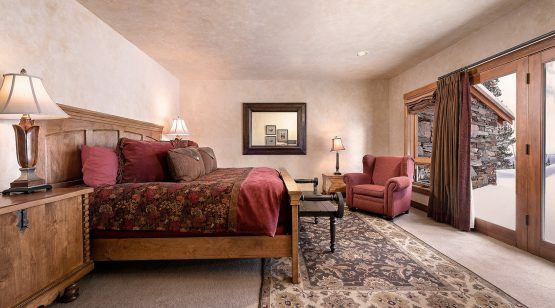 The second bedroom is spacious and luxurious, and has direct access to the covered porch seating area. 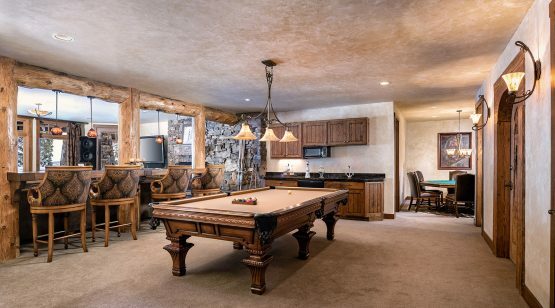 Other main level amenities include the ski room, locker room, mud room, and immense covered deck. 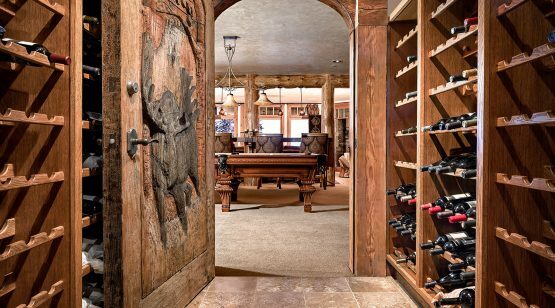 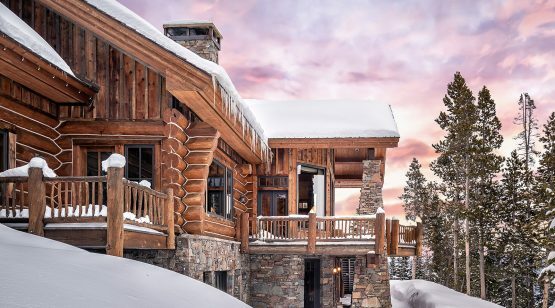 The home’s lower level is the ideal location for casual evenings and après-ski gatherings, with its pool table, wraparound couch, poker room, wine room, and bar area. 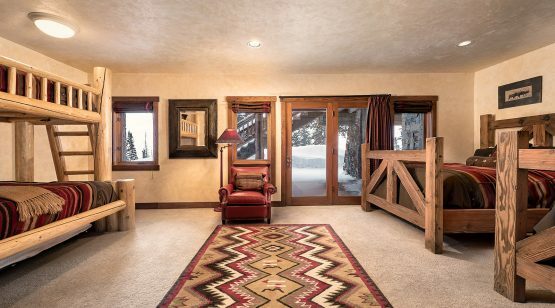 Three additional bedroom suites, one configured as a bunk room, each offer en suite accommodations and comfortable styling. 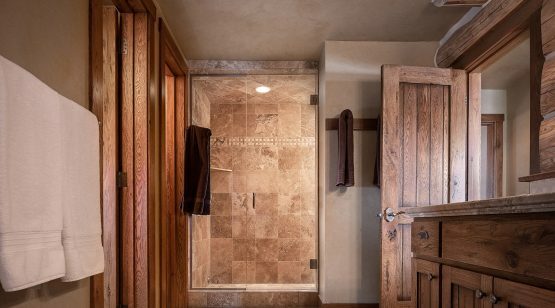 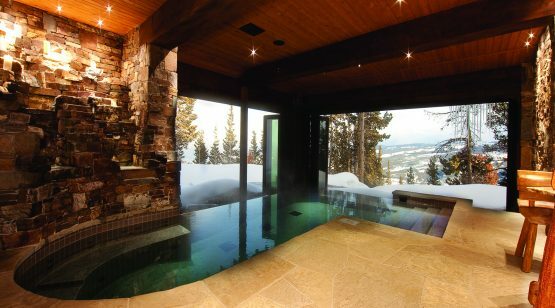 Perhaps the most stunning feature on the home’s lower level is the incredible indoor hot tub. 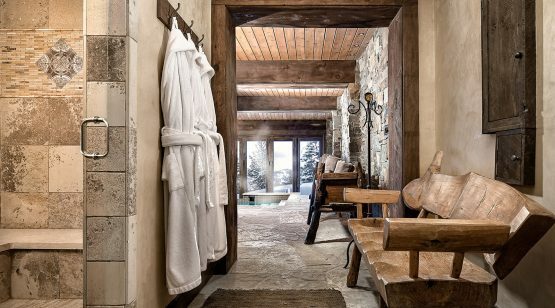 This custom pool features walk-in stairs, a wraparound bench, and room for countless people—with the adjacent steam room, this is truly a home spa. 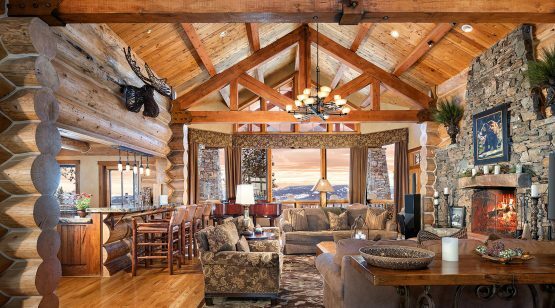 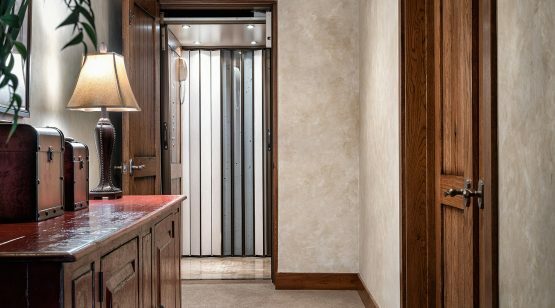 Andesite Ridge 89 also features a three-car garage with an above-garage guest suite. 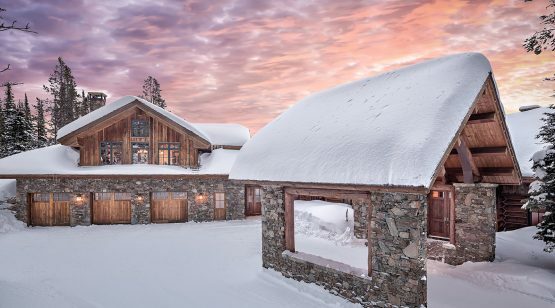 In total, this custom residence is an ideal retreat, the perfect location to enjoy winter ski days or long summer adventures. 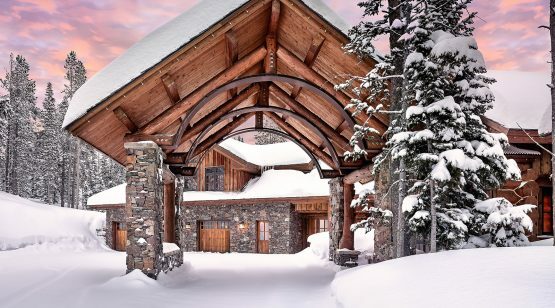 In the winter, return home after a day of skiing via the Andesite Ridge lift; a short ski down a designated ski trail leads directly to the property.